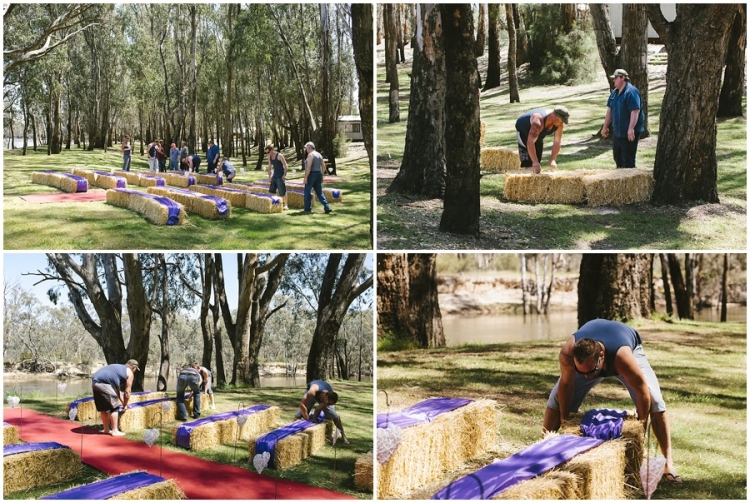 Leecee and Scotty celebrated their wedding at Morning Glory River Resort, BarmahÂ – aÂ place in the country amongst the gum trees on the Murray River. 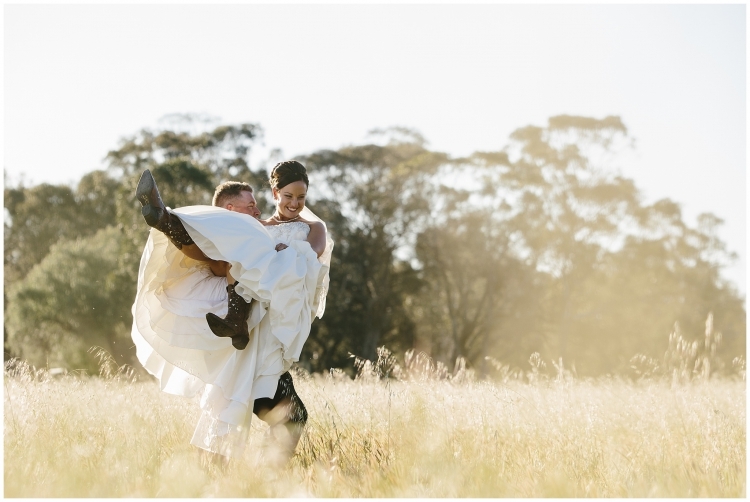 Relaxed, country style wedding that suited them perfectly. ” I remember feeling completely calm the morning of our wedding, not sure if it was the glow of the sunrise on the river or the fact I was finally getting to marry my fella ! Not having a wet weather plan seeing that sun and blue sky was a massive relief . I can not express the warmth it brought me when my Grandad arrived to pick me up and the first thing he said was ” wacky do” but your still my youngest granddaughter no matter how big your dress is ! It wasn’t until we all arrived at the ceremony that butterflies made their presence , the look on Scotty’s face was priceless. I don’t think even he knew if he was going to laugh, cry or pass out . 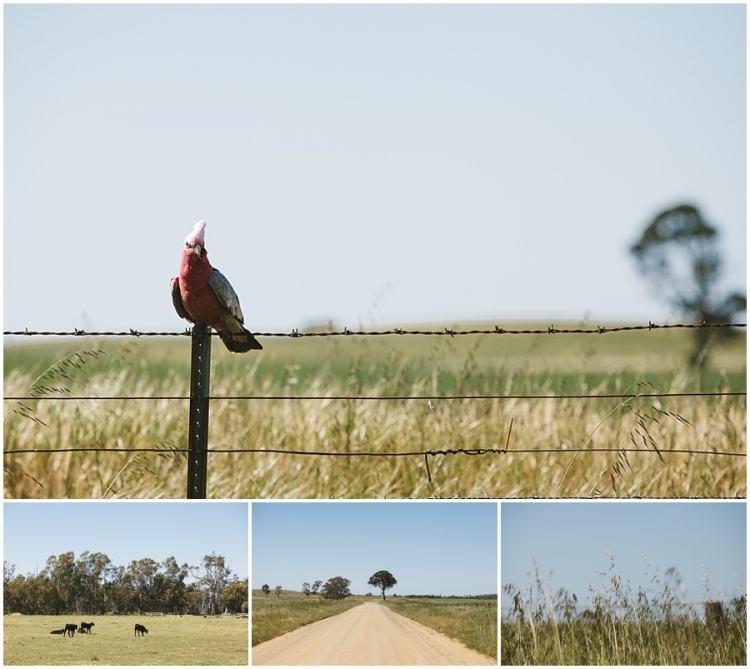 Lee Kernaghan’s high country song was belting out as we both had planned – a long time before we were even engaged that that was our song . I honestly felt like I floated down the isle. Thank goodness I had my grandad’s hand on mine . Our ceremony consisted of laughs , tears and our own interpretation of what our celebrant said and before I knew it we both said our I dos and were married – pretty sure all Scott wanted was a can of rum ! Leecee and Scotty then went on to a surprise honeymoon destination (organised by Scotty) Â up at Cape Tribulation, Far North Queensland.